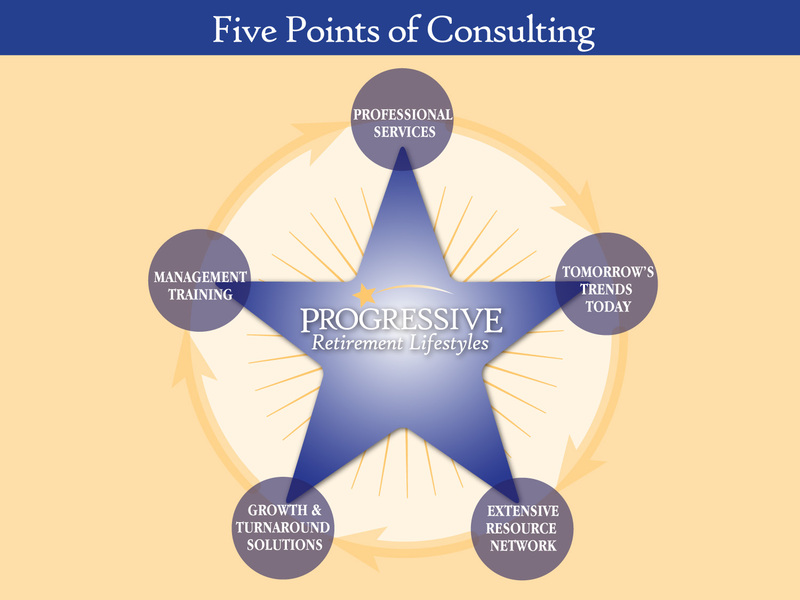 Progressive Retirement Lifestyles (“PRL”) is a boutique management and consulting firm that draws on the knowledge and experience of its principals to provide a broad range of consulting services to the senior living industry. For over 20 years, founder Art Carr has provided exceptional corporate-level leadership for all types and sizes of senior housing & care organizations – from fledgling enterprises to complex operations worth more than one billion dollars. Drawing on his operations and financial expertise, Art has a track record of continuous achievements in both growth and turnaround situations for independent living, assisted living, skilled nursing, home care and other senior services organizations. Our services are highly scalable through an extensive resource network of developers, architects, professional marketing organizations, leading edge technology companies and other industry personnel. We offer a range of services from concept & design through development and on-going operational management. We build on our clients’ existing operations to drive continuous improvements in occupancy, financial performance & resident satisfaction. Our supportive solutions assist them in modifying yesterday’s business models for guaranteed success in tomorrow’s changing seniors market. Enjoyed your last Linked In article and although I may not completely follow your optimism on our economies recovery especially the real estate markets which has always fueled the Senior Care markets, I do however believe that all down cycles can lead to opportunities if one is willing to change, find solutions and be creative. I find your willingness to move forward in this market a prime example and as a past owner and State Licensed Administrator I have a unique awareness to the challenges owners possess and enjoy your site. If you have any challenges regarding protection or risk management needs feel free to contact me and would be happy to assist in any way possible.